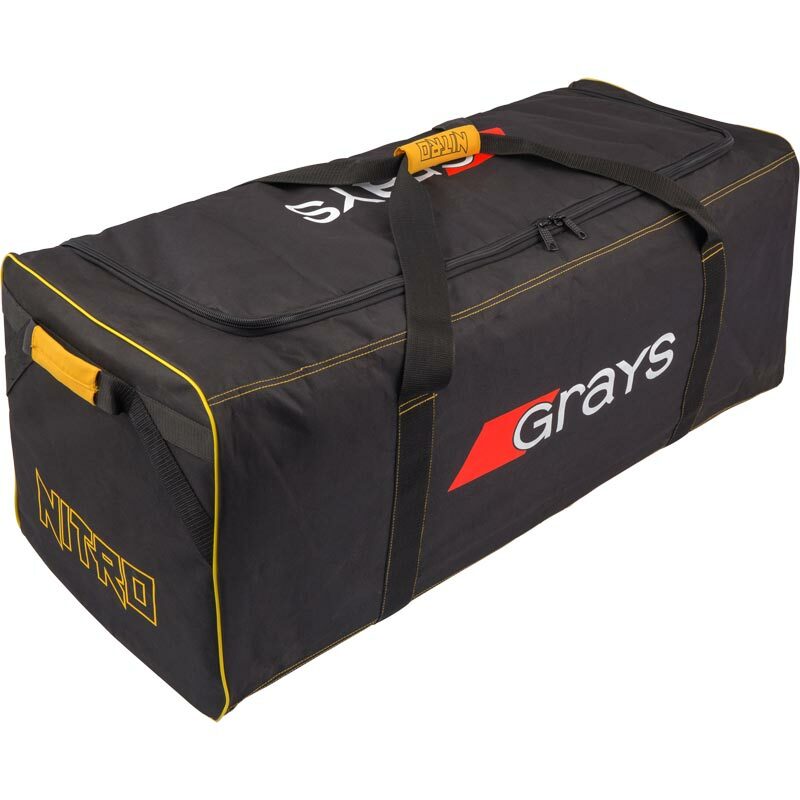 The Grays ® Nitro Goalkeeper Bag is a full size goalie holdall suitable for keeping all your Nitro kit. Full size goalie holdall suitable for keeping Nitre kit. Durable fabric construction with carry straps. Dimensions: Length - 90cm, Height - 40cm, Width - 40cm.